Carols at Carrical, Sun 13 Dec – All Welcome! Servants is in The Age! Congratulations to all our Team Servants participants! Here’s a couple of photos from the finish line for you. Watch this Video about Servants! 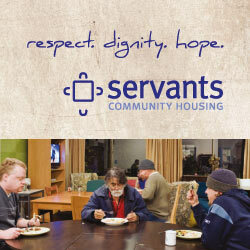 Have a look at this brief video about Servants Community Housing! With thanks to Melbourne High School student Kalana Vithana and former MHS student and great supporter of Servants, Nam Truong. Hawthorn Community Chest is hosting Carols @ Carrical, at our Hawthorn house. All welcome, hope to see you there!